Far too many American youth are disconnected—one in seven to be exact. They are not going to school and they don’t have a job. They are not anchored to a daily commitment or to the institutions and individuals who can help them thrive. It’s either your child, the young person down the street or over in the next community. According to the Social Science Research Council’s latest Measure of America Report, more than 5.5 million youth age 16-24 are disconnected from school and work—two of the major anchor institutions that contribute toward healthy development. That’s 13.8 percent of America’s young people. 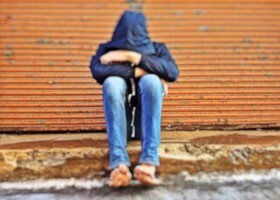 Although the percentage of disconnected youth in American society peaked in 2010 with more than 6 million, according to the report this is a problem that won’t go away on its own. The proportion of disconnected youth in communities of color creates a crisis situation in many low-wealth neighborhoods where these young people are concentrated. Black youth still suffer the highest rates of disconnection at 21.6 percent, followed by American Indian youth (20.3 percent) and Latina/o youth (16.3 percent). The rates for white (11.3 percent) and Asian (7.9 percent) youth, while below the national average, are still dangerously high. We should all realize that young people across the spectrum need us pay attention in new ways. Native-born youth not enrolled in school and not holding a high school diploma. Youth who have been in foster care between their 14th and 19th birthdays. Youth with significant involvement in the juvenile justice system. These young people and others from low wealth backgrounds, students with significant academic and/or mental health problems and young people with a background of substance abuse have been given the distinction of being called our nation’s “Opportunity Youth” by the White House Council on Community Solutions, established by President Barak Obama in 2010. The danger in doing nothing results in alarming economic costs over time. If the current cohort of Opportunity Youth continues to live at the margins of American society, the aggregate taxpayer burden will amount to $1.56 trillion and the social burden of $4.75 trillion according to “The Economic Value of Opportunity Youth,” a landmark study commissioned in 2012. A broad spectrum of governmental agencies, corporate leaders, nonprofit and community-based entities were brought together through the White House Council for Community Solutions to develop proactive interventions. Although the Council formally concluded its work with a comprehensive report in 2012, efforts to engage Opportunity Youth and connect them to the jobs, educational opportunities, community involvement and social supports that create promising futures are still being rolled out. Organizations and companies across the country, including Starbucks and CVS, have gotten involved and are committing jobs and job training to 16-24-year-old youth from low wealth communities. The Corporation for National and Community Service and the Department of Agriculture have created community service and training opportunities exclusively for youth at risk for disconnection. America’s 4-H clubs are seeking new ways to expand outreach to underserved youth and the United Way is hosting community conversations to develop community-based solutions. These kinds of opportunities and supports increase the chances that youth will make successful transitions to adulthood and increase their capacity to become resilient in the face of life’s troubles, according to Child Trends. But involvement with Opportunity Youth doesn’t stop with the governmental, private sector and nonprofit organizations already involved. If you’re reading this article, you are just in time to visit the human resources program at your organization and ask how you can become involved with the youth summer jobs program. Sign up now to be a mentor or tutor at the local high school. Ask for youth who are having academic difficulty. Partner with friends in your neighborhood or colleagues at your job site to create a community service project. Ask your local United Way to connect you with Opportunity youth who need a chance to show their value within your community. Involvement with Opportunity Youth in our communities is a job description for each of us. Let’s pay now, because we simply can’t afford what comes later. Author: Deborah Bailey, PH.D. M.P.A. is a visiting research scholar at Johns Hopkins University where she researches youth social capital in West Baltimore, Maryland. Dr. Bailey has worked extensively with at-risk youth in previous professional roles as a community service director and as executive director for a state-wide organization serving pregnant and parenting teens.